Hollywood has the long way to deal with the sexual misconduct women have been dealing with it since decades. It’s even more Shameful thing that the roots of inappropriate behaviour towards women have going around since ages caused by the most reputed names from the industry. Firstly, it was Hollywood mogul Harvey Weinstein and now to our surprise Oscar winner Morgan Freeman accused of sexual misconduct by eight women. The accused women said Morgan touched them inappropriately at work place and during different promotional events. CNN reported they made contact to 16 different people to investigate into 80-year-old, where some women alleged inappropriate behavior by Freeman at his production company, Revelations Entertainment. One of the senior production staff of Now You See Me was quoted saying, “He did comment on our bodies. We knew that if he was coming by… not to wear any top that would show our breasts, not to wear anything that would show our bottoms, meaning not wearing clothes that [were] fitted.” Another one who accused the actor of sexual misconduct said, “Freeman kept trying to lift up my skirt and asking if I was wearing underwear.” who accused Freeman. After all the damage, Morgan Freeman has issued an apology following allegations of sexual misconduct made by eight women and several other people. “Anyone who knows me or has worked with me knows I am not someone who would intentionally offend or knowingly make anyone feel uneasy. I apologize to anyone who felt uncomfortable or disrespected — that was never my intent,” said Morgan. All in all, much needed #MeToo movement gave tons of women the courage to speak against all the wrong things they did been going through since long time. Be it at work place, film sets or in public place, #Metoo social media movement became the right platform for the victims to share their stories. 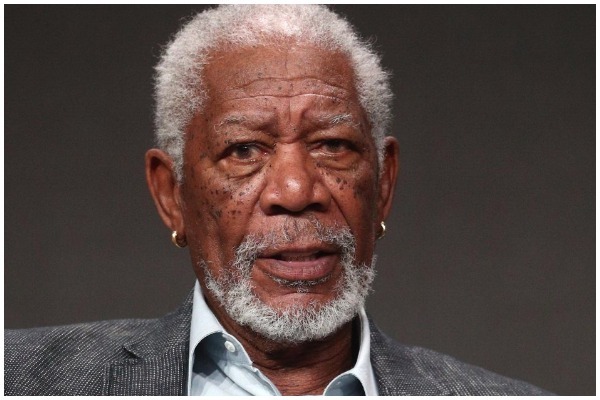 Morgan won an Oscar in 2005 for best supporting actor role in “Million Dollar Baby.” His career has spanned more than 50 years and worked in over more than 100 movies. Previous : Want To Participate In Amitabh Bachchan’s Kaun Banega Crorepati 10? Here Is What You Have To Do!